Alykel airport, which serves the city of Norilsk in the north of Kranoyarsk Territory, has completed the first phase of runway reconstruction. The commissioning permit for the resurfaced 720-meter section was issued on September 15, allowing the airport to start full-fledged runway operations from September 19, the construction manager and developer FSUE Civil Airports Administration reports. 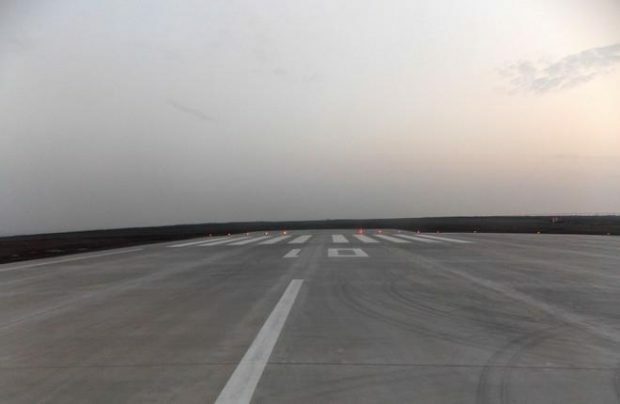 The government customer, the Federal Air Transport Agency, announced that no limits were imposed on the airport’s normal operation during reconstruction, as 2,530 meters of runway were still available for use. Norilsk airport was supposed to be closed down for a period of up to two months. “In order to provide transport accessibility for Norilsk and retain the air connection, all reconstruction is to be conducted in 5 stages within 3 construction seasons. This will keep the airport operational,” said the agency. Currently, the airport is preparing for the second stage of the modernization project which will include the renovation of another 1,200-meter runway segment. The project is set to start in summer 2017. “The second stage will imply that only a 1,510-meter segment of the runway will be operational July through September, available for Class-A aircraft and helicopters only” the Civil Airports Administration says. Besides, the scope of work in 2017 will include taxiway reconstruction, as well installation of a new airport lighting system and radio communication and navigation equipment. As previously reported, the apron and airplane stands will also be upgraded. The completion of the project is scheduled for 2018, by which time the remaining 1,081-meter long runway segment is to be resurfaced as well (due to reconstruction, the runway will not be fully operative July through September). For today, the airport remains the only transport hub providing an year-round connection between the Taymyr region and the rest of Russia. The reconstruction is being conducted within the framework of the Russian Federal 2010-2020 Transport System Development Program with Transstroymekhanizatsia being the prime contractor for the project. The reconstruction of the airport requires overall financing of 7.8 billion rubles ($122.5 million), including 4.2 billion rubles ($65.9 million) allocated for airfield infrastructure upgrades. In the first half of 2016, the Norilsk gateway served 226.5 thousand passengers, demonstrating a 4.7% increase YOY. In terms of passenger traffic Norilsk comes in at 37th in the list of major Russian airports.